Credit: Reprinted from Chemical Physics Letters, 452, JL Daschback, PK Thallapally, BP McGrail, and LX Dang, "Dynamics and free energies of CH4 and CO2 in the molecular solid of the p-tert-butylcalixarene" 123-128, 2008, with permission from Elsevier. Enlarged View. Help Wanted: Hard working, selective material capable of quickly capturing carbon dioxide from busy exhaust stream. Must enjoy long hours and high stress. Apply at your local chemical plant. Industries that use coal as a feedstock for manufacturing plastics, fertilizers, and other chemicals need such materials, and scientists at Pacific Northwest National Laboratory are working to oblige. Using computer simulations, researchers showed the crystal p-tert-butylcalixarene easily pulls in carbon dioxide. 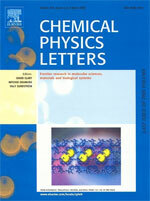 Their study, featured on the front cover of the March 3, 2008 issue of Chemical Physics Letters, shows the material easily holds several carbon dioxide molecules in each cavity. The material is composed of hollow cavities. Gaseous molecules, such as carbon dioxide, can slip into these cavities. To explore applying this material, researchers needed to know how carbon dioxide behaves as a guest molecule in p-tert-butylcalixarene. Simulating molecular behavior: To gain this knowledge, the researchers at PNNL began by designing computer simulations of carbon dioxide molecules interacting with p-tert-butylcalixarene. The team set up the simulation for temperatures from 100K to 400K, which is slightly above the temperature where water boils. Based on the molecules behavior during the simulation, the researchers calculated the rattling motion, or Einstein frequency, of the gas molecules. The Einstein frequency told the researchers if the motion of the carbon dioxide was influenced by the rising temperature. If heat influences the motion, carbon dioxide could escape from the crystalline structure when the material is heated, a behavior that would need to be accounted for in potential applications. Next, the team determined if the material could absorb carbon dioxide or if additional energy, which often increases the expense of the process, would be needed to coax the process along. The calculation, known as Gibbs free energy, showed it is easy for p-tert-butylcalixarene to absorb carbon dioxide. Next steps: The team is conducting additional simulations to examine the crystal stability when more carbon dioxide is added. Acknowledgments: The Division of Chemical Sciences, Geosciences, and Biosciences, Office of Basic Energy Sciences and Office of Fossil Energy in the Department of Energy's Office of Science funded this research. Citation: Daschbach, JL, PK Thallapally, BP McGrail, and LX Dang. 2008. 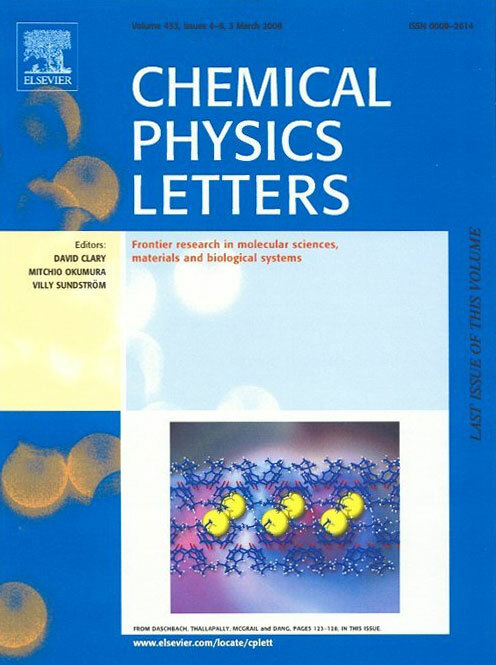 "Dynamics and free energies of CH4 and CO2 in the molecular solid of the p-tert-butylcalixarene," Chemical Physics Letters 453(4-6):123-128. This research was featured on the front cover of this issue of the journal.